Rewind to last February, and at Sofar Oxford we had a beautiful line up of Monument Valley, Benedict Benjamin, Twin Hidden, Tom Terrell and Rachel Sermanni in the stunning surroundings of Art Jericho. The editing team seem to have been pretty busy lately and a flurry of videos from Sofar Oxford shows have been surfacing on the Sofar Youtube, including three from that night. The videos of Twin Hidden and Benedict Benjamin aren't up yet but you can check out this great video from a Sofar Benedict played in Bristol last year. First up is Monument Valley performing the track When I Go Clear. He's supporting Bryde tonight at her sold out Slaughtered Lamb show! Next up is Tom Terrell playing The River on what seems to be a pretty big banjo, and which a quick Google search suggest is a 'cello banjo', but perhaps in more friendly terms, Gretta, as Tom named it/her in his FB post about the video. I can remember being pretty mesmerised by Tom's set on the night and you can certainly see why! Last up is Rachel Sermanni, joined by Tom (they were touring together at the time) to perform a track called Tractor which Rachel explains has nothing to do with tractors... They were a beautiful pairing, both joining each other during the other's set, and those who go to see them playing full live shows together were lucky indeed, though their sets in the intimate art gallery venue were both pretty special. 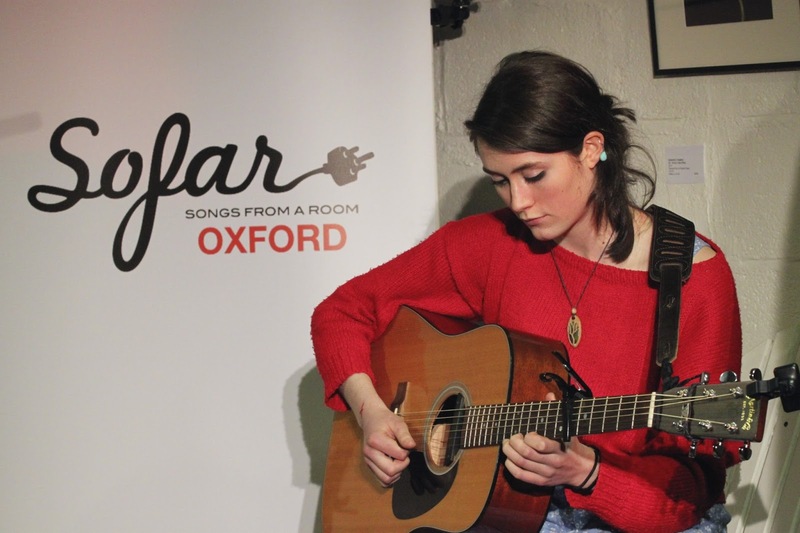 You can find out more about Sofar Sounds in Oxford here, and apply for tickets for the upcoming show on 24th May which is in association with the Common People festival. Also if these videos left you wanting more, check out the main Sofar Sounds Youtube page here, which is constantly updated with new sessions from the shows around the world!